We just launched Shareaholic Channels, our topic-based collections of content from our best publishers, and we want to feature even more amazing publishers in the Shareaholic Network. We take several factors into consideration. First, you must be a Shareaholic Publisher (interested in becoming one? keep reading). If you have our free publisher tools installed, we’ll be able to know which of your posts to feature in the Channel, making it the best traffic-driving opportunity for you. Beyond that, we take a look the quality of your content. Pageviews, shares, social media followings and comments help, sure. But most of all, we’re hoping to feature well-written, consistent content. In Channels? Congrats, you are awesome! Now we know you’re wondering how you can make the most of this opportunity, improve your rank and ensure your content is featured at the top of every Channels page. The content that’s revealed above the fold generally gets the most pageviewed, shares, “Favorites” and “Read Later” bookmarks–or in more practical terms–it’s useful, rememberable, visually-compelling and overall the best in its class. Step 1 – Take 5 minutes to add any of Shareaholic’s free features to your site. Already using Shareaholic? Cool stuff. Skip to Step 2. 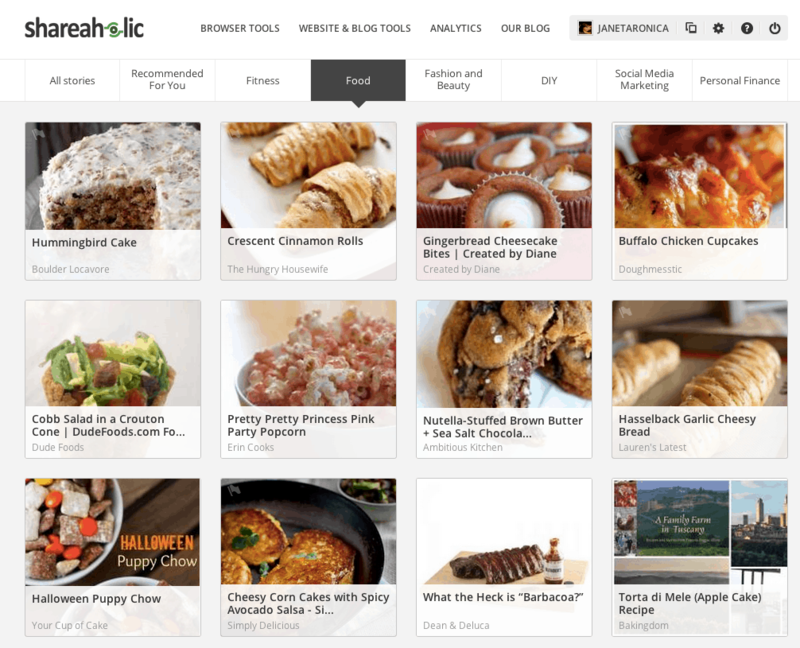 If you aren’t using Shareaholic yet – welcome! Note: To get Shareaholic, you must be on a self-hosted WordPress site (WordPress.org), Blogger, Tumblr, or any platform that allows you to install code on your site. At this time, we are not compatible with WordPress.com. Shareaholic Content Analytics – This is not visible to your readers and it gives you an easy-to-use metrics dashboard so you can monitor the traffic you get from Channels. Recommendations Related Content – Increases pageviews and time-on-site by recommending your own content at the bottom of each post you publish. Choose from several designs and sizes. Share Buttons – Boosts engagement and traffic to your blog by encouraging readers to share your posts. Choose from several choices for designs. WordPress users: You can get any of these features right from our WordPress plugin. If you only want Shareaholic Content Analytics from the WordPress plugin, follow these instructions. Blogger users: Any of our publisher tools are available for Blogger. For extra help adding Shareaholic Content Analytics to Blogger (and adding code to Blogger in general) check out these instructions. Step 2 – After you’ve added Shareaholic to your site, complete the application process by filling out the form below. We’ll be in touch as soon as we review your application. Thanks so much for applying! We’ll chat with you soon :) And please reach out to us personally if you have any questions.